This month we had the usual mix of projects, help and advice. Tom Brough brought along freddie and bob, to demonstrate, Freddie now has a user interface, written in python and I guess tkinter. 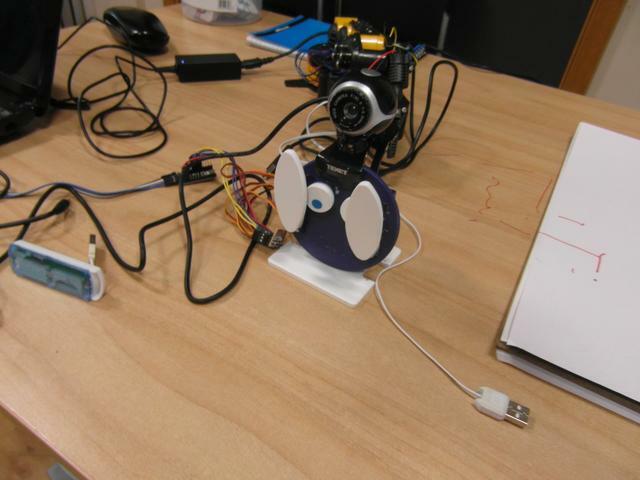 This allows control over features, which colour the web cam detects OR you can control freddies arms with the interface. 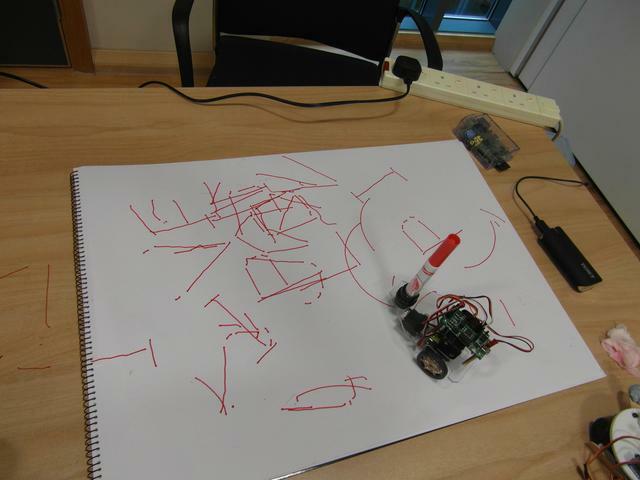 Again this proved popular and there could be some interest to run a build your own freddie activity at a future event. Gordon was on hand to demonstrate some of his ever increasing array of add on boards for the Pi, this is now looking rather impressive esp with the pi-moroni kit to look at. We also had the virtually safe people along in a tie in to advise people on internet safety, while we didn’t get anyone in specifically to see them, they did talk to the 3 young people and discussed issues that concerns them e.g swearing in chat rooms. 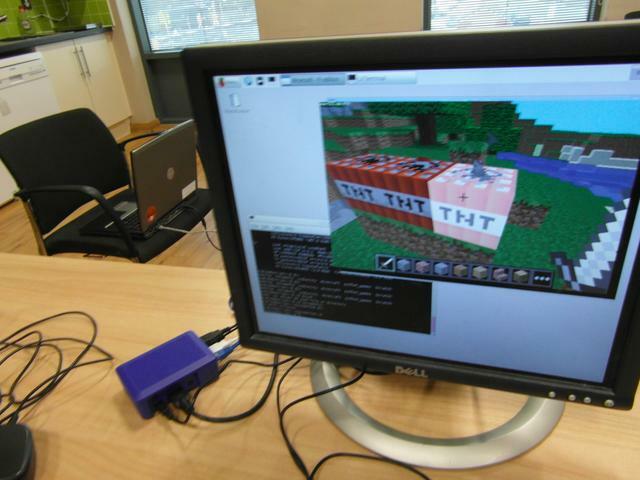 The young people also showed them their projects, including a minecraft clone in scratch. We also installed minetest which is the free MC clone. So a big thank you to the two PCSOs from the virtually safe team. I think you gained something from the chat with the young people which is a good thing. I will discuss getting you back in, in the mean time we have some flyers for the next Pi jam. The Pi jam now have 3 laptops for people to use, the idea here being that these are extra computers to either run scratch, or perhaps use for remotely accessing a Raspberry Pi. 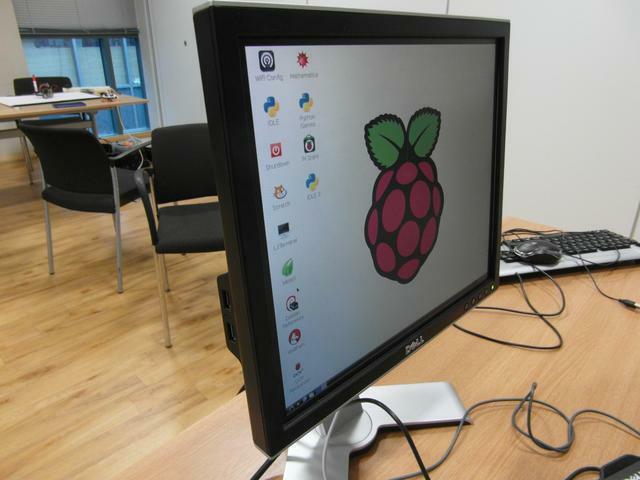 I helped a young lad and his dad with some advice on what is needed to get started with a Pi, where to buy from and what can be done with a pi, and then left them to have a go with scratch / Python. A big thank you to everyone involved, and especially Dan S for bringing two laptops and a stack of Maplins flyers down. Thank you also goes to Rob Beard for PAT testing the PSU’s this means they are certified as safe for people to use. The next Pi jam in Torbay is 11th October, this is the same week as European code week, so the Jam is listed on the codeweek website. Please tell friends, teachers, work colleages, children / young people lets get lots of people to the events in October. The event is slowly building up, we took positives from today so we are working on a few items behind the scenes. 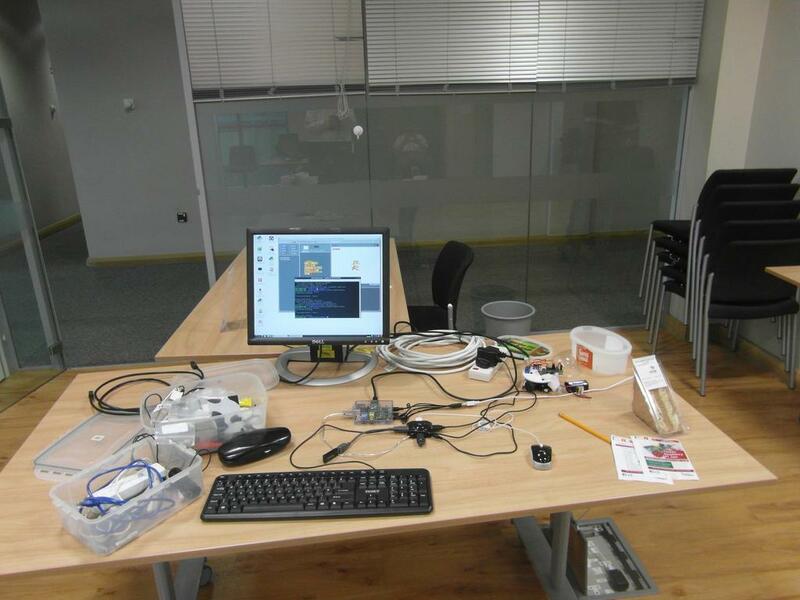 There is more to a Pi jam than simply Raspberry Pi. It is also about coding, education, help & advice and keeping safe while coding. Another good meeting, for those who didn’t make it, here is a quick write up on all the goodies you missed out on. 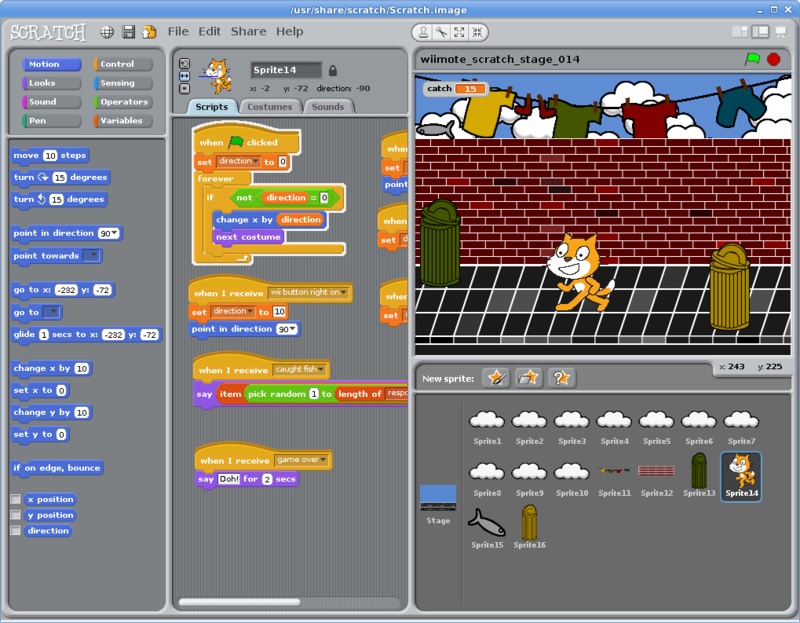 Tom Brough demonstrated his Scratch game that can be controlled with a Wii mote. A full write up on how this works will be available at sometime in the future. You missed out on a real gem with this. 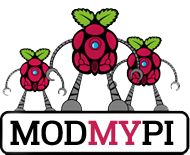 This is a pi jam, however we now have more Arduino based projects than actual Raspberry Pi’s, anyway the Jam is about learning, education etc so why not. 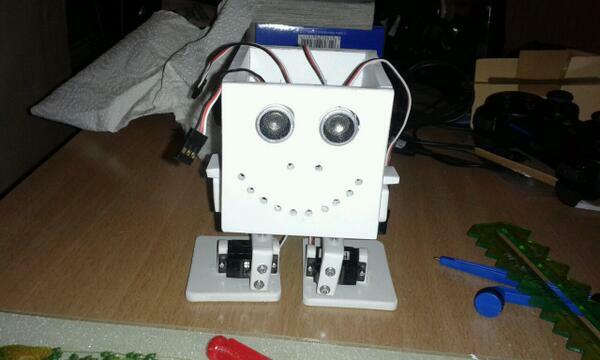 Especially as the Arduino and Pi can work together. So maybe the jam should be a PI / Arduino jam instead. 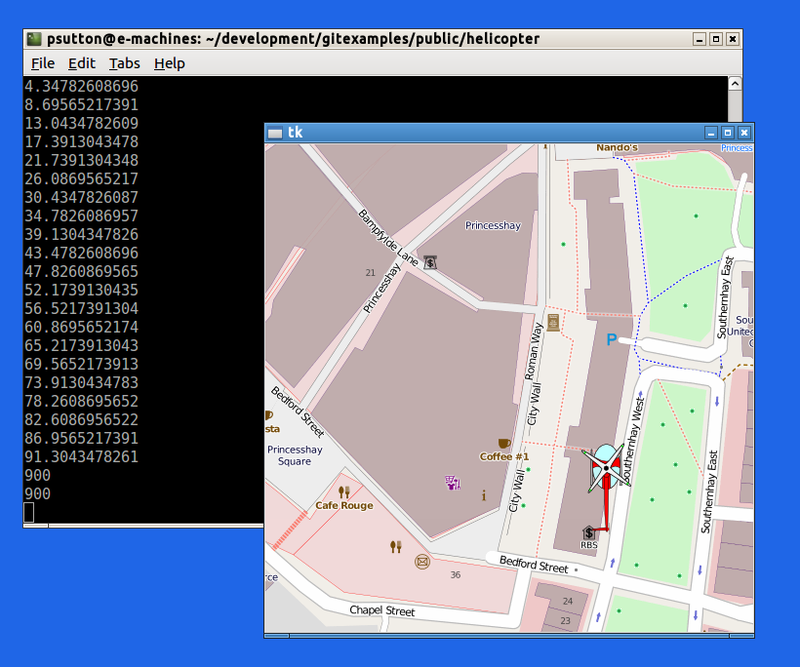 Another successful pi jam, Tom set up his latest project, on the pi, which uses a wii remote to control a helicopter flying over open street maps, this works very well and you can move around the map area, which was set for the locality of the Pi jam. 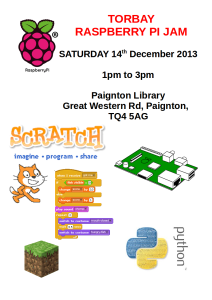 The 2nd Raspberry pi jam in Torbay took place on the 11th Jan at the Library. 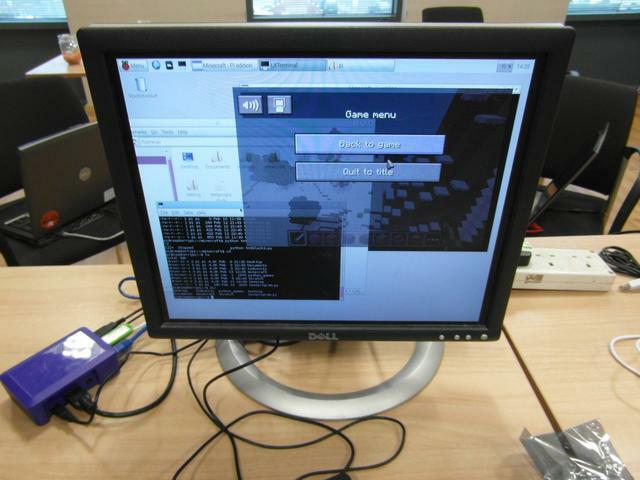 A few projects were demonstrated. One of the projects being demonstrated was by Tom Brough, he built a raspberry pi robot last year and has been adding enhancements etc to it ever since. The robot now has the ability to scan a printed qr code, store it’s contents and then read these back and then move around. A big thank you goes out to all who attended, helped and especially to Torbay Library services for all their help and Paignton Library for hosting us. 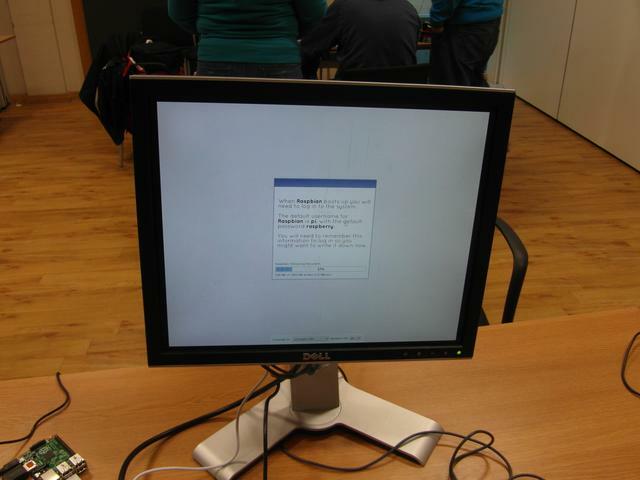 Photos from the Exeter pi jam on the 23rd November can be found here.